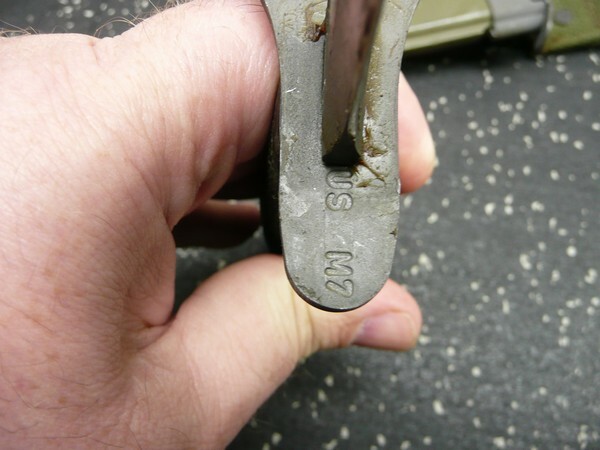 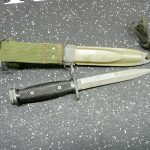 USGI M7 Bayonet issued with the M16 series of rifles. 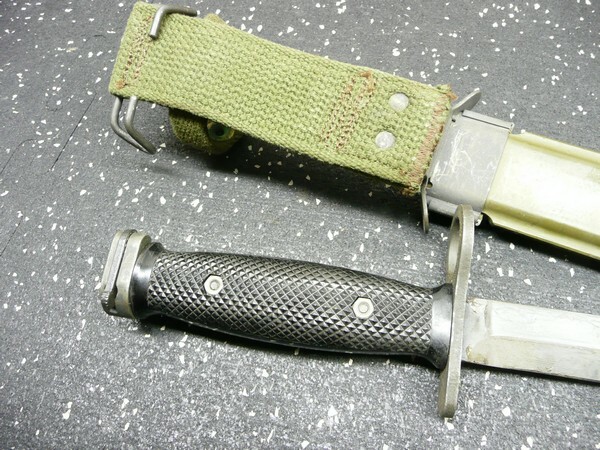 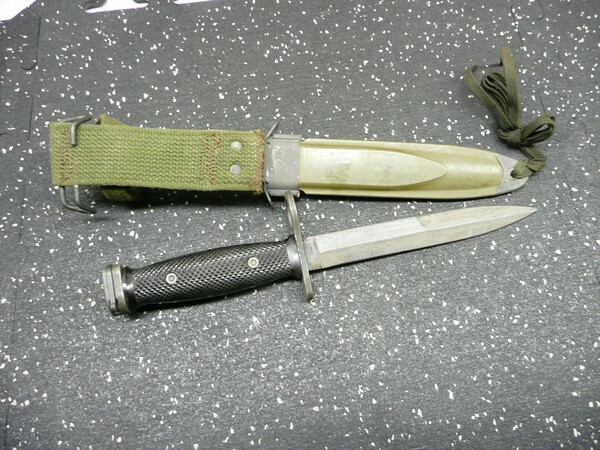 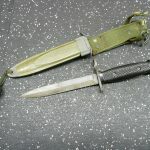 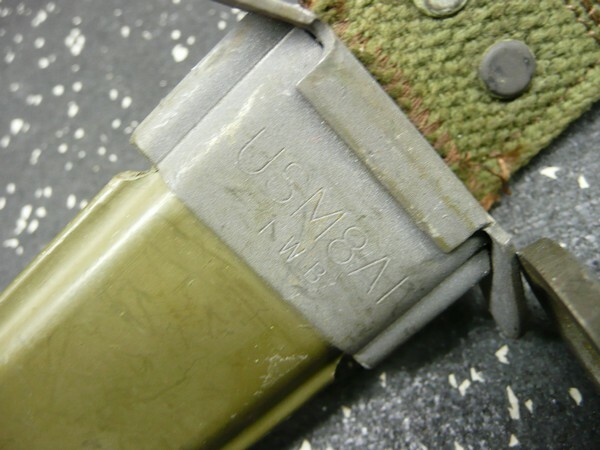 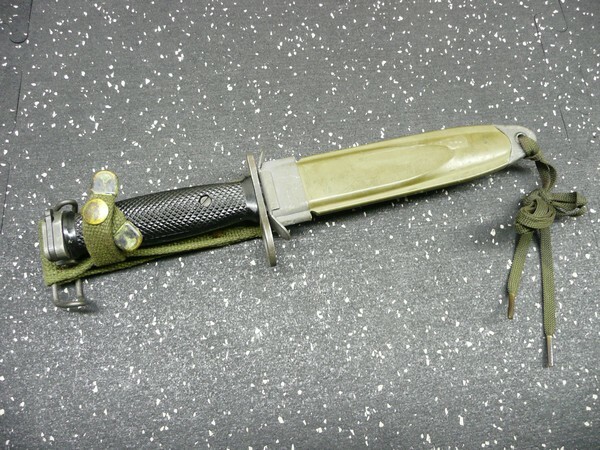 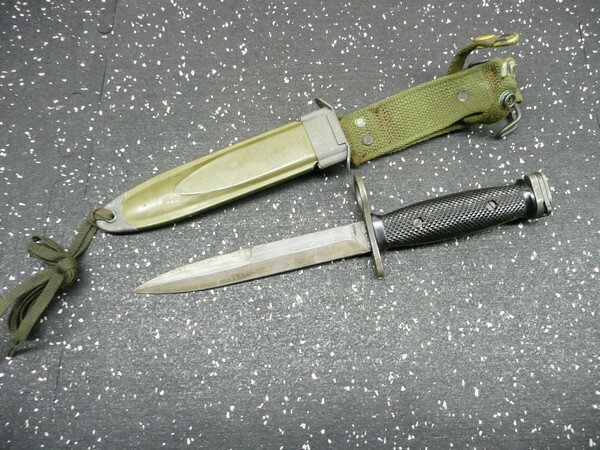 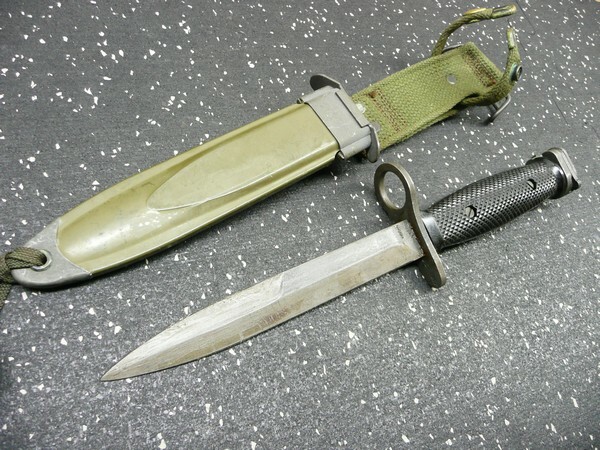 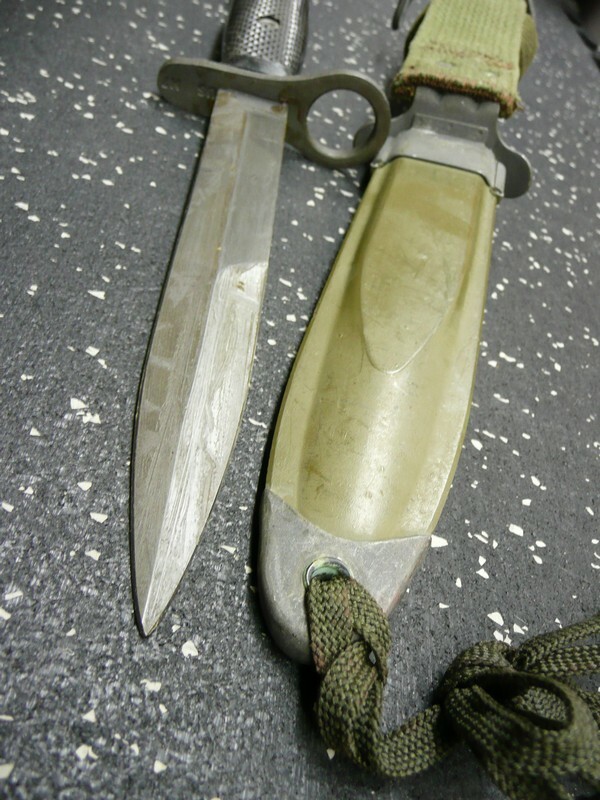 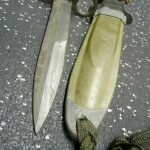 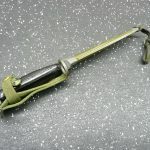 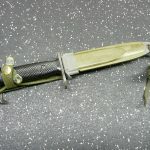 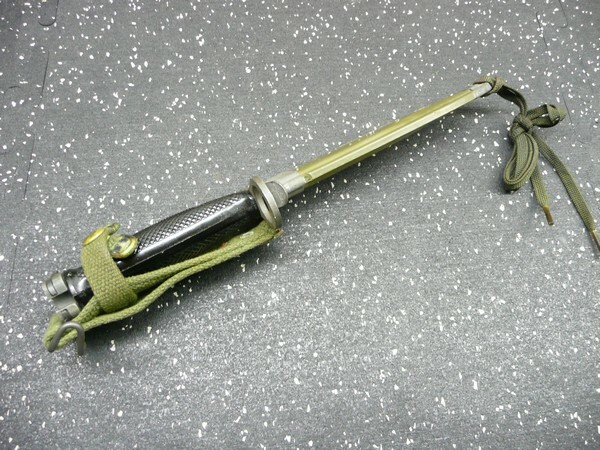 This is the first version of the M16 bayonet when it was initially fielded in Vietnam. 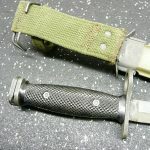 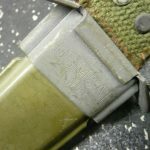 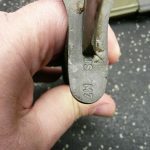 Scabbard is the standard M8A1. 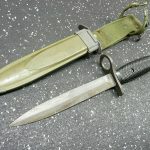 Surplus item in good condition.